It a cold, grey Wednesday here in The City. Blah. I took this picture in a warmer, brighter time. Hopefully the hot pink (one of my fave colors) brings you some warmth, or at least a smile. 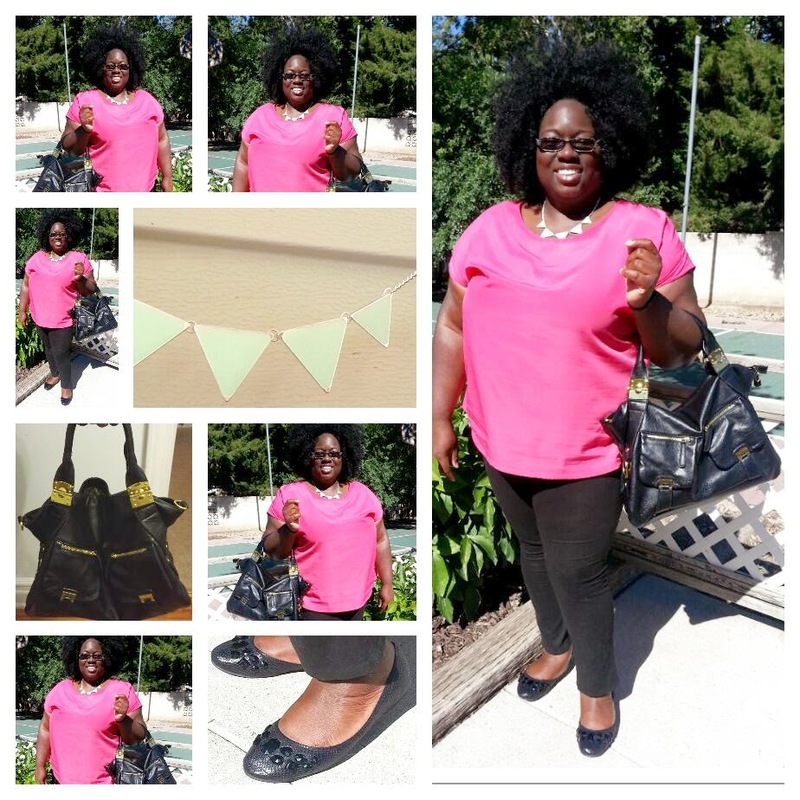 Tee: WalMart, Leggings: Macys , My go-to black bag : JustFab, Jeweled Flats: Macys , Glow in the dark geometric necklace: Gift from a friend's trip to Europe. Thanks Shelly.